A century or so ago, someone put a marshmallow on a stick and s’mores were born. And ever since, we all just assumed that was the best way to do it. Stoke the fire of innovation for the S’mores Grilling Set, a really simple, pretty ingenious piece of equipment that was specially designed so you could eat s’mores like a gentleman, available online now. So what does the perfect s’mores-making device look like... well, the inside of a toaster oven. Kinda. 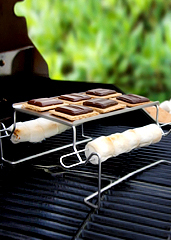 In the middle: a warming rack for melting chocolate onto graham crackers. On each side: a pair of metal hooks for cradling double-pronged marshmallow skewers. 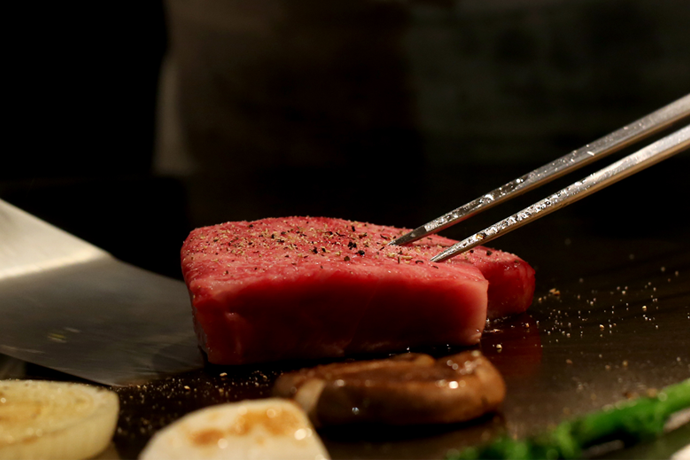 Just put the whole thing on top of a grill and add heat. We’ll assume you can drive it home from there. It’ll probably be for the best if you bring this to the next barbecue you’re scheduled to attend. Sometime after the steaks are finished and the scotches are poured, break this out, parade it around and explain to everyone that the s’mores are taken care of.